One of my favourite national parks, Mana Pools in Zimbabwe, is very seasonal. It is an outstanding place to experience wildlife in the dry season, when wildlife congregates near the Zambezi River. 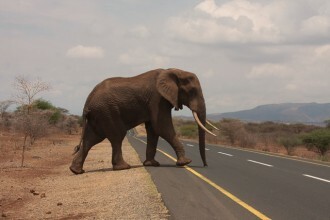 That is when visitors are drawn to this phenomenal place and the chance of poaching being unnoticed is very low. I mention poaching because this time that is what this story is about, not the phenomenal wildlife experience. I am writing about Africa, a continent rich with resources that few other places can match, and which have increasing market value. Sadly there is growing demand, mainly in Asia, for wildlife products like ivory, rhino horn, lion bones, pangolins, and other wildlife products. Africa is also where family income is barely adequate for most inhabitant’s basic needs, and where human population is expected to double in the next 25 years. So back to seasonal Mana Pools National Park, but this time in the wet time of year. With the onset of the rains, wildlife disperses, roads become impassable, and thick bush provides ample cover for poachers to operate effectively. At this time the protection of the park is not helped by visiting safari-goers (since they are not there), and is left to the park rangers, with few resources and vehicles often in a poor state of repair (wear and tear is hard on vehicles here). 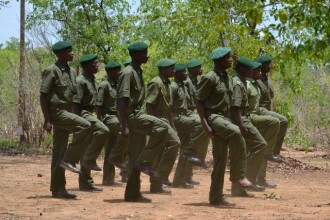 Patrols become limited to areas near the ranger camps and bases, giving poachers a free range elsewhere, with little chance of them being detected or caught. Let me first explain a little what we are up against. My natal country, Zimbabwe, ranks 17th in the World for percentage of area put aside for protection according to the World Bank (28% of territory). This is wonderful, but the reality is such vast areas to protect require huge investment and resources to manage. These protected areas are usually too vast to afford constructing fences around them, and can only be patrolled. Somehow poachers have to be kept at bay, and revenue has to come in to support the infrastructure and maintenance. Ranger posts and accommodation, roads and bridges need to be built or maintained. Radios, weapons and uniforms need to be supplied, and training all needs to be done. 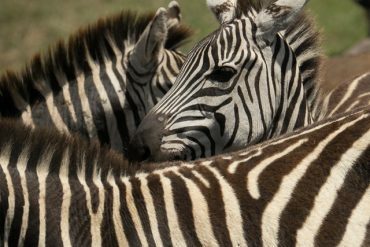 Rarely do governments prioritise the protection of wildlife and wilderness in their budgets, and Zimbabwe is no different. The government departments in charge of the protection of wildlife here are under-funded, and can no longer manage on their own, given their financial constraints. Revenue from tourism is one of the main sources of income to manage these areas. Rangers are seldom paid on time, are inadequately trained or equipped, and are expected to risk their lives and go after poachers who are backed by big syndicates, are professional, and well trained. Without wildlife and wild areas, none of us have jobs! 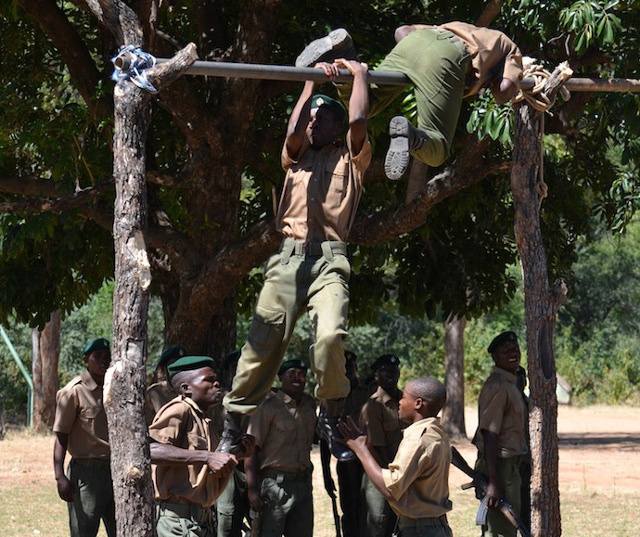 Fundraising was started, and guides volunteered their time and vehicles to help Zim Parks with the deployment of anti-poaching patrols throughout Mana Pools and the surrounding areas. Over the last two and a half months relentless pressure of deploying these patrols has really paid off, and thankfully there has been a definite reduction in the amount of poaching activity in the park. We have been volunteering our time and vehicles for five or six days at a time. Recently Roy Ludick, a good friend and professional guide, and I assisted in Mana Pools. We were greeted by deep puddles in the road and a swollen river crossing. The park headquarters is on a floodplain, which is very deep clay, making driving impossible when it is very wet. Added to this are the flooding rivers, which become barriers to access. The area manager of the area was thrilled to see us and immediately set about briefing us of our tasks for that very afternoon. We were taking over from two other guides who had been deploying scouts for the previous five days. The previous week, they had been hindered by huge downpours of rain. Although the rain was very welcome for the health of the Mana Pools floodplain, it also made getting around near impossible! Our first task was to deploy a rescue patrol to find and help their team-mates who had been caught by the flooding of the Ruckomechi River. They had been trapped and had stayed out in the bush for four extra days. Our concern was whether they still had any food rations. When the rescue patrol returned the following day with the second patrol in tow, we were amazed at their high level of morale, given the wet muddy conditions they had endured for the last week in the bush. For the next five days, we deployed and collected men all over the park, driving more than six hundred miles. Knowing that covering the ground was making a big difference. However we cannot be complacent. 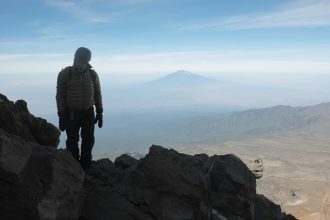 Fuel is being burned at a massive rate, and National Parks rangers lack basic equipment (GPS units, binoculars, night vision equipment, webbing to carry their equipment for a four or five day patrol, rain gear, and ration packs). Furthermore, after being more or less confined to their bases in the past, and are in desperate need of updated training in appropriate anti-poaching techniques. The survival of wildlife in Africa is now in the hands of us all. We can give our time, lend our vehicles, but at some point we will need financial support, organization and accountability to achieve our aims. 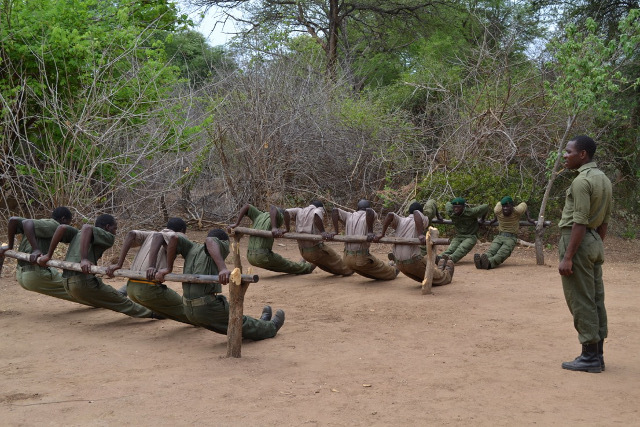 I would like to promote a training project that will be conducted to help these men be better prepared on the ground. In order to continue helping the Mana Pools area, we are now working with an accredited non-profit organization, The Tashinga Inititive who have been doing everything they can to support Parks and Wildlife Management Authority to protect the Zambezi Valley area of Zimbabwe, including Mana Pools for several years. They are audited by Price Waterhouse Coopers in Harare. 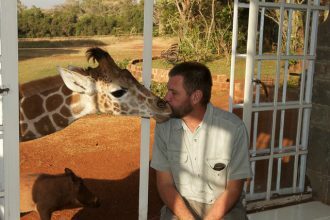 The Tashinga Initiative has a fiscal sponsor based in the USA, Global Wildlife Conservation (globalwildlife.org) who is a 501c3 enabling donations to any Tashinga Initiative Project to be tax deductable. If any of you would like to also help please donate to the Tashinga Initiative, either for some of their projects in the area, or specifically to this training project (Tashinga Initiative AP training). 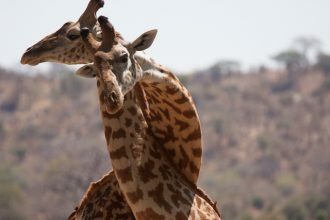 You can do this in two ways: if you live in the USA and prefer the donation to be tax deductible all you need to do is visit the Global Wildlife Conservation website (http://globalwildlife.org/donate/) and fill in the on-line Donate form. 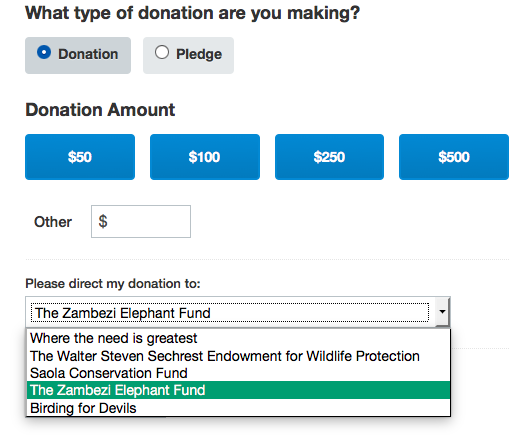 Where the form provides a drop-down menu and indicates “Please direct my donation to” select “The Zambezi Elephant Fund”. If there is an additional option select “Ranger Training” although this is not essential. 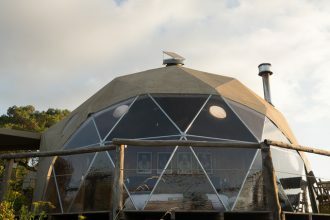 The second method is to donate directly to the Tashinga Initiative (but this is not tax deductible) via their website (http://www.thetashingainitiative.org/donate.html). If an opportunity arises inform them that the donation is for AP Ranger Training.